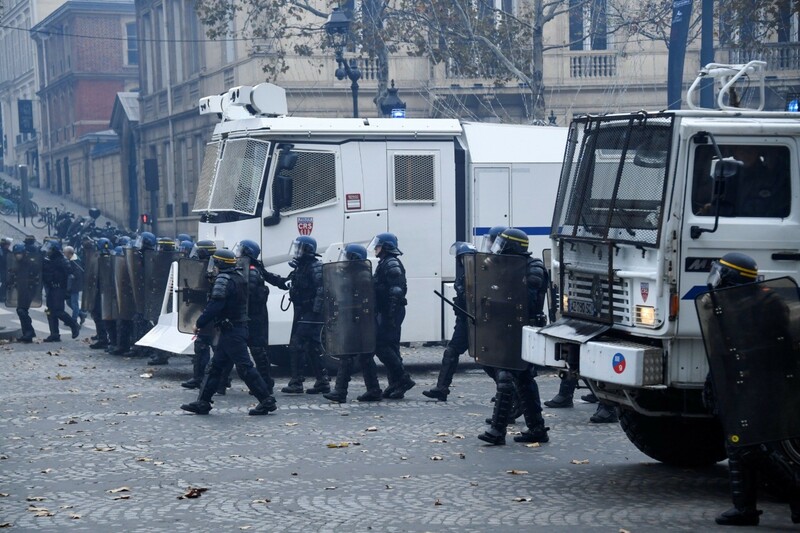 Thousands of police were deployed nationwide to contain the eighth day of demonstrations in which two people have been killed since they started the Nov. 17 protests against the tax. 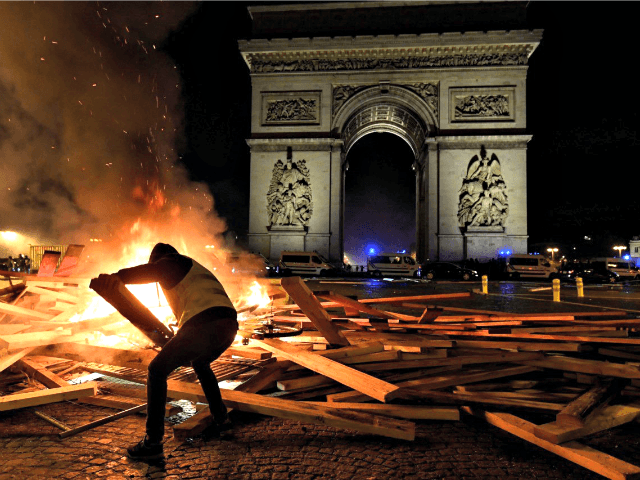 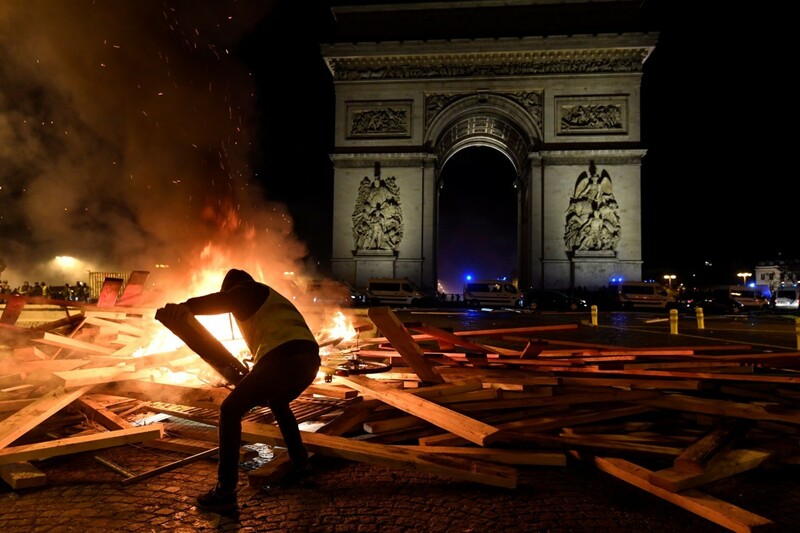 Tense clashes on the Champs-Elysees saw police face off with protesters who burned plywood, wielded placards reading “Death to Taxes,” and upturned a large vehicle. 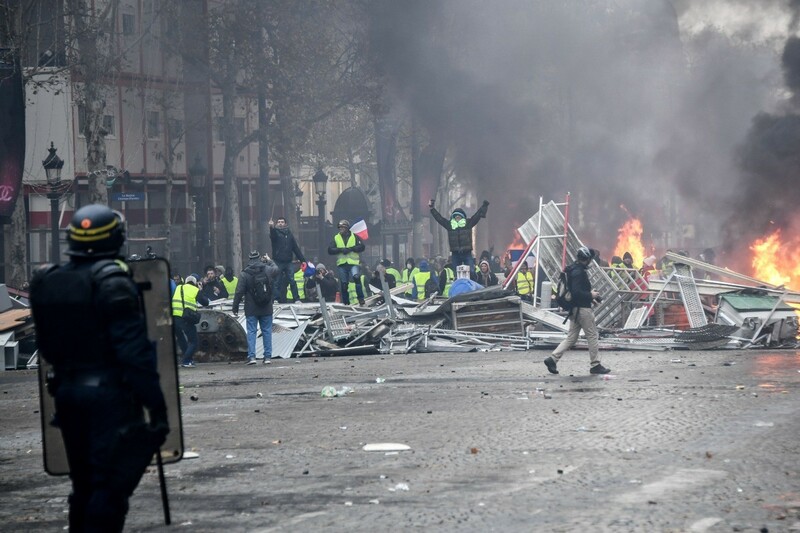 There were no immediate reports of injuries, but 18 were detained for various acts including “throwing projectiles,” Paris police told the press. 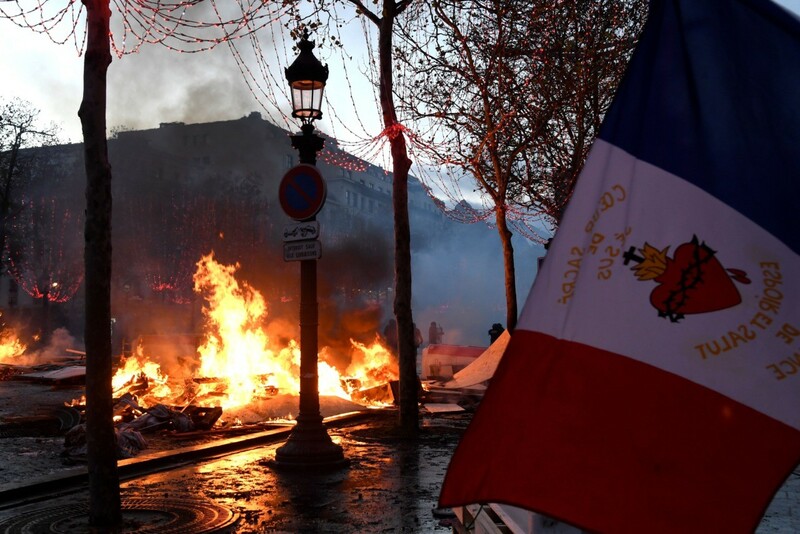 The unrest is proving a major challenge for Macron, who is suffering in the polls. 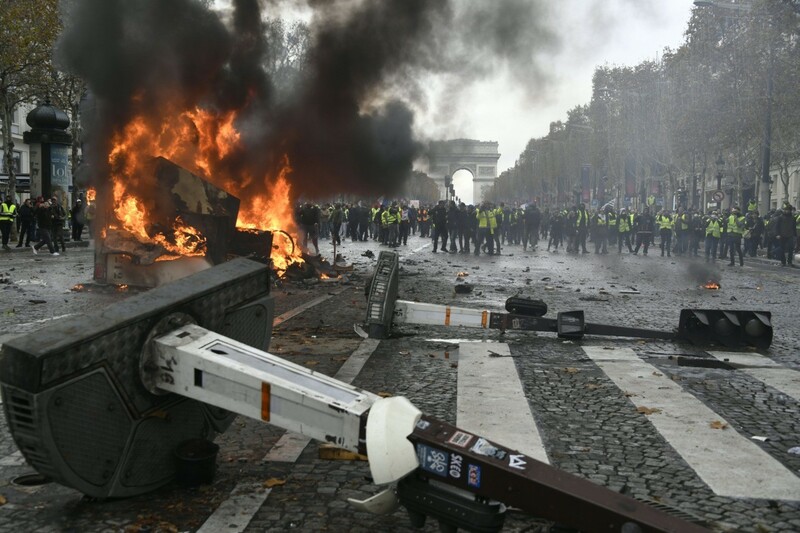 Macron has condemned violence by protesters at demonstrations against rising fuel taxes and his government. 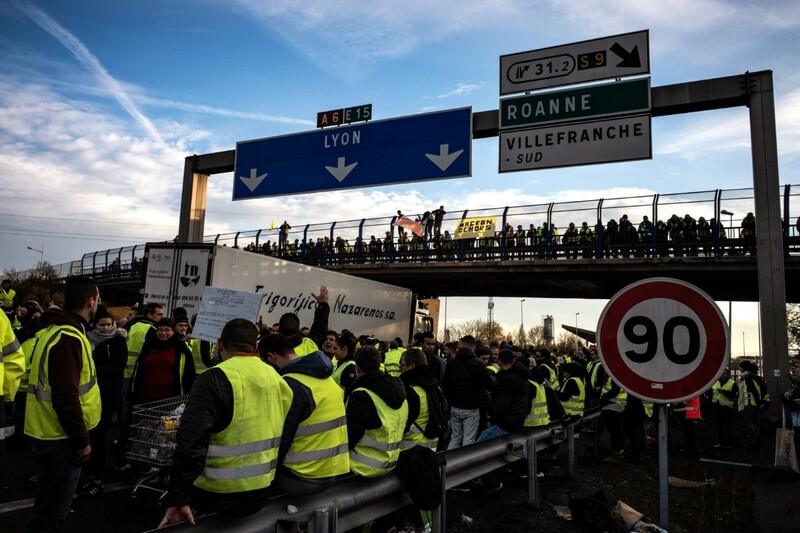 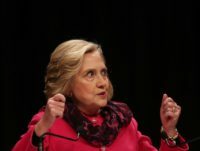 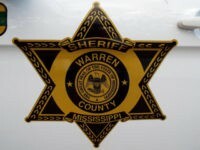 However, authorities are struggling because the movement has no clear leader and has attracted a wide-ranging group of people with broadly varying demands.